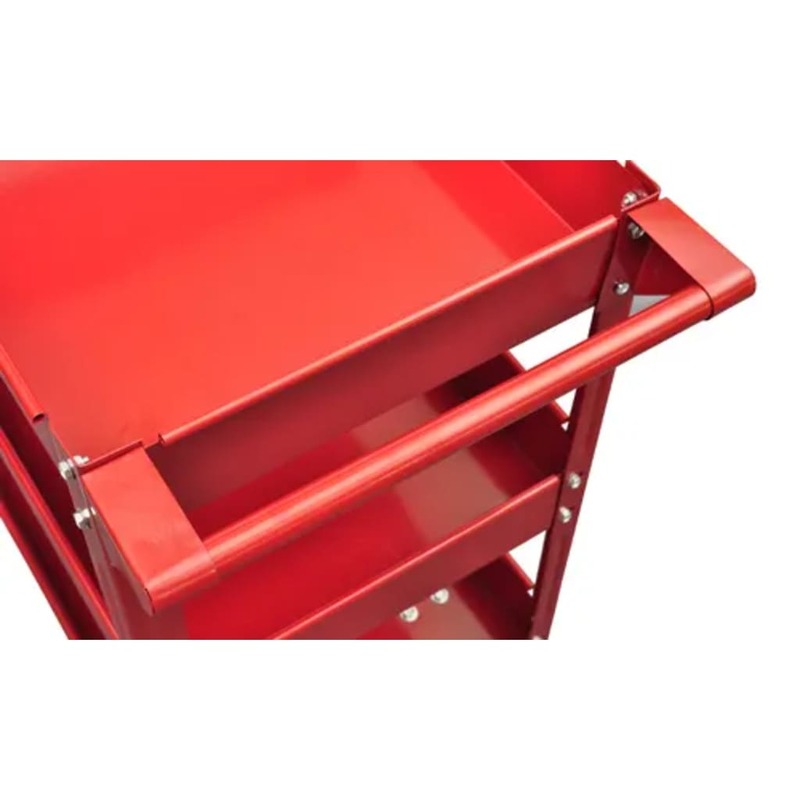 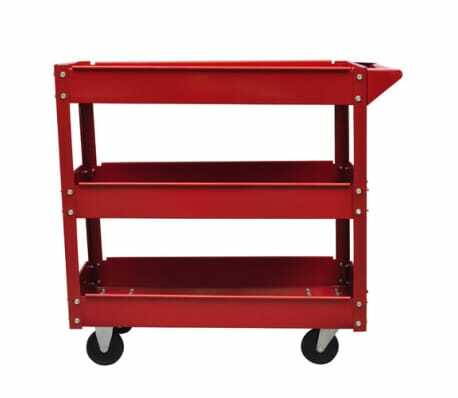 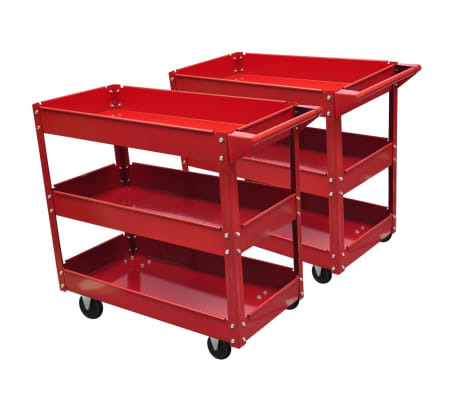 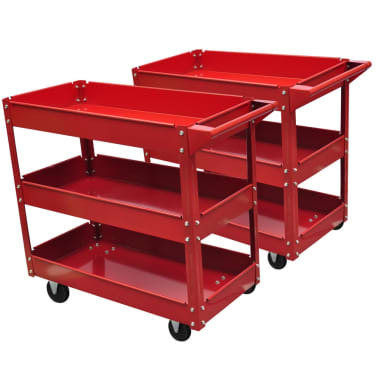 Dimensions: 33.1" x 16.1" x 30.7"
Loading space size: 30.1" x 16.1"
This workshop tool trolley has a robust construction with 3 shelves which can carry a maximum load of 220 lbs. 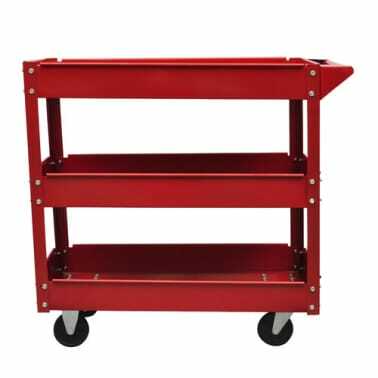 This workshop trolley can be used for easy and safe storage and for transportation of your tools in the garage and workshop. 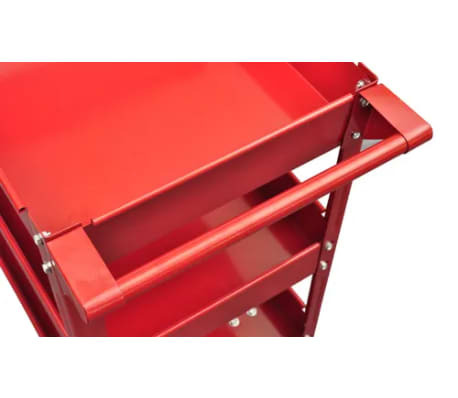 It has a lacquered steel construction. 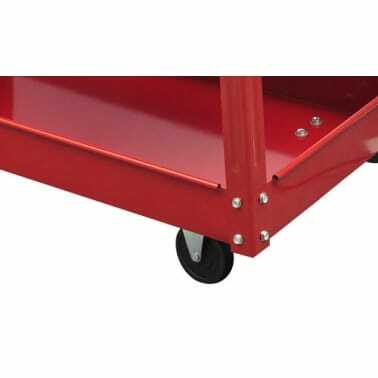 2 wheels can swivel and 2 can be locked. 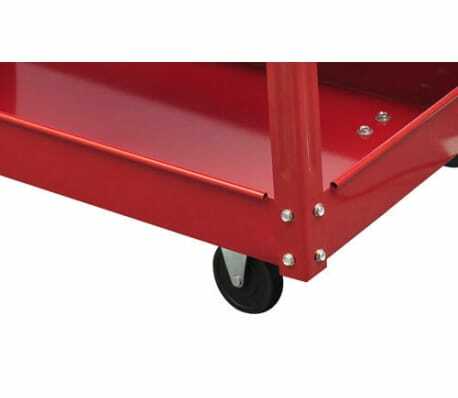 Finally, there is a convenient handle for pushing the trolley. In delivery you will receive 2 x workshop trolley.